extension is 14,300 hectares. It is divided in two sectors of tourism visitation: Las Pailas and Santa Maria; both sectors have very specific attractions, due to the importance of its ecosystems, in which Excel volcanic manifestations. This National Park, is a volcanic Massif (nine craters), which is part of the watershed, between the Caribbean and the Pacific, of the Northwest area of the country and protects important river basins such as the White River, Colorado River, River the drowning of a total of 32 springs. that is characteristic of the area and its geological attractions. Sector Las Pailas site combining the volcanic component, with its fumaroles, lakes and mud pots, with a wide variety of stunning landscapes and ecosystems. 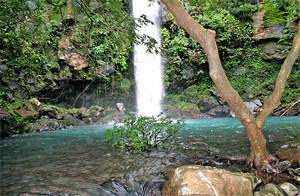 In this Sector, it is possible to observe the active crater of the Rincon de la Vieja volcano, its waterfalls (hide and seek and the she crab), areas of pastures in regeneration, and primary forests; all this, through trails 100% natural, with odds of spotting birds, mammals and reptiles. 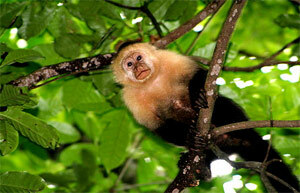 This is the sector of greater visitation of the Guanacaste Conservation Area.